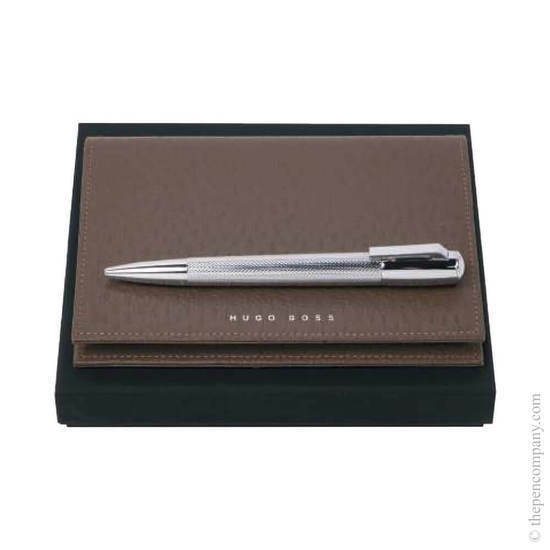 A polished chrome ballpoint pen from the Hugo Boss 'Pure' range is paired with a textured leather A6 notebook cover from the 'Prime' range in this gift-ready combination. 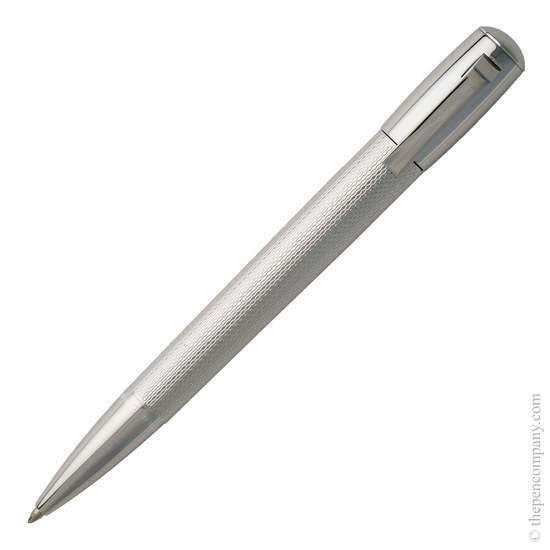 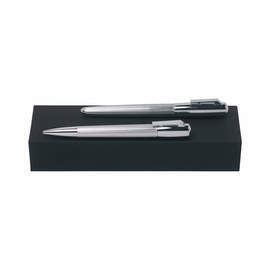 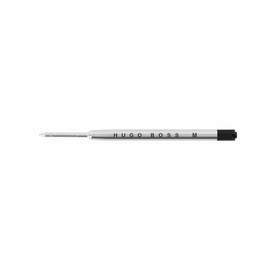 The Hugo Boss 'Pure' ballpoint pen features sleek, tapered silhouettes with an intricately engraved barrel for a tactile writing experience. 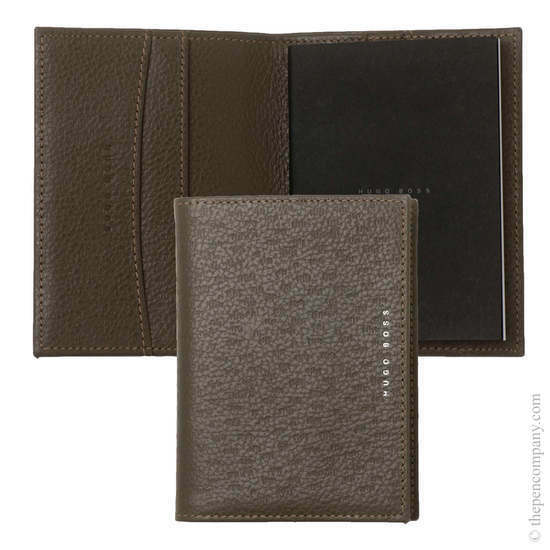 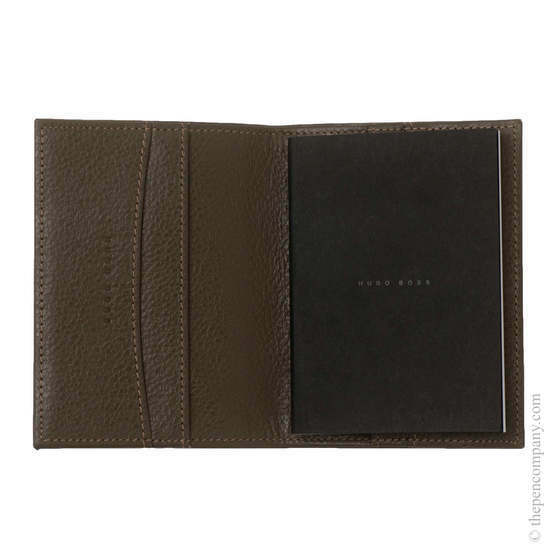 The leather notebook cover is from the Hugo Boss 'Prime' range, providing an exceptionally high quality cover for A6-size notebooks. 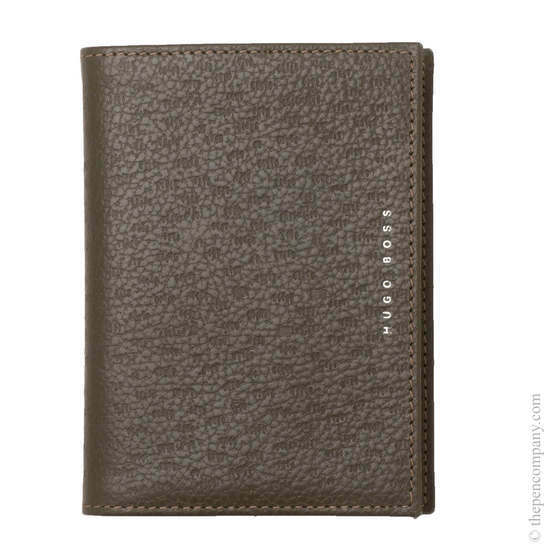 The front cover features additional texturing to the grain that runs throughout and is embossed with the Hugo Boss logo in silver. 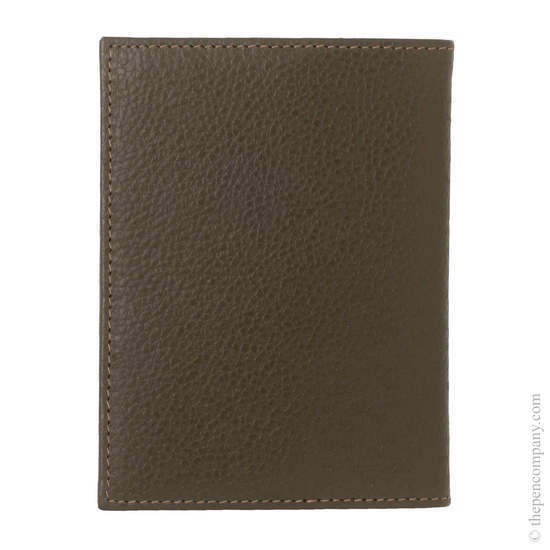 The colour of the leather known as 'camel' is a pleasing dusky brown. 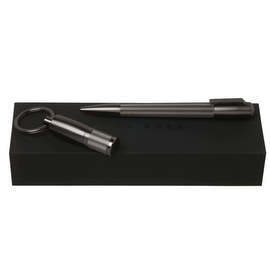 The set comes in a matt black Hugo Boss presentation box.